The King's Cup Sepaktakraw World Championship is a sepak takraw team event which is considered to be the most prestigious tournament in the sport as most top national teams compete in this annual event. The King's Cup is dedicated to His Majesty the King of Thailand. Three regus form a team and winning point is achieved once a team has the majority of two regu victories out of the three regus. The King's Cup tournament was first held in 1985 in Bangkok Thailand where Malaysia emerged as the inaugural champions. 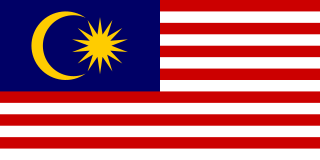 Malaysia became champions again in 1988  and the rest of the other editions saw Thailand as champions. The King's Cup tournament is seen by some especially the Malaysians as being unfair because it is never held outside of Thailand hence always giving the host nation an obvious upper hand and that the Asian Games is a fairer ground of competition. The 700th Anniversary Stadium is a multi-purpose stadium in Chiang Mai, Chiang Mai Province, Thailand, built to host the 1995 Southeast Asian Games and to commemorate the 700th Anniversary of Chiang Mai's establishment at the same time. It was also used for the 1998 Asian Games. Football side Chiangmai F.C. returned to the stadium for the 2009 season having used a municipal stadium elsewhere in the city in recent years. Architecturally, the stadium is clearly a forebear of the 80th Birthday Stadium in Nakhon Ratchasima. A continuous single tier, almost a perfect circle, rises up on one side to form a large main stand which provides covered accommodation for 4,500 spectators. Only the main stand has plastic seats and cover. The rest of the tribunes are uncovered concrete steps painted white. This list of sports fixtures or results is incomplete; you can help by expanding it . The International Sepaktakraw Federation, commonly known as ISTAF, is the international governing body for the sport of sepaktakraw. Its current President is Major General Dr. Charouck Arirachakaran and was formed in 1988. Its main goal currently is to spread Sepaktakraw into 75 different countries and ultimately make it an Olympic sport. The ISTAF SuperSeries is an international sepaktakraw competition organized by the International Sepaktakraw Federation (ISTAF). Alongside the ISTAF World Cup, the ISTAF SuperSeries brings together the best sepaktakraw players annually to showcase the sport to the international audience. As the only elite international sepaktakraw tournaments recognized by ISTAF, both tournaments lend a higher weightage to the official ISTAF World Rankings. Sepak takraw has been included in the Asian Games since the 1990 Asian Games in Beijing, China. Sepak Takraw at the 2007 Southeast Asian Games was held in the MCC Hall in The Mall Department Store in Nakhon Ratchasima, Thailand. Sepak takraw was contested at the 2010 Asian Games in Guangzhou, China by both men and women from November 16 to 27 2010. Team, Regu, and Doubles competitions were all involved in the Sepak takraw competition with all games taking place at Haizhu Sports Center. Each country, except the host country, was limited to two entries per gender. Sepak takraw is not very well known in India, although it was a demonstration sport at the Delhi Asian Games in 1982. The Sepak Takraw Federation with its headquarters in Nagpur, Maharashtra, was founded on 10 September 1982. It is recognised by the Indian Olympic Association and Ministry of Youth Affairs and Sports since 2000. So far, the Federation has conducted 14 Senior, seven Junior, and six Sub-Junior National Championships in different cities and is also conducting Federation Cup Tournament and zonal National Championship. The men's regu sepak takraw competition at the 2010 Asian Games in Guangzhou was held from 22 November to 24 November at the Haizhu Sports Center. The women's team regu sepak takraw competition at the 2006 Asian Games in Doha was held from 2 December to 6 December at the Al-Sadd Indoor Hall. The women's regu sepak takraw competition at the 2006 Asian Games in Doha was held from 8 December to 10 December at the Al-Sadd Indoor Hall. The ISTAF World Cup is a competition organised by the International Sepaktakraw Federation (ISTAF) to modernise the traditional sport of Sepaktakraw. Alongside the ISTAF SuperSeries, the ISTAF World Cup is a platform to showcase the best of the sport and seeks to broaden the appeal of the sport to the international community. The debut season of the ISTAF SuperSeries commenced on 8 September 2011 to 1 July 2012 with 4 SuperSeries tournaments. The ISTAF SuperSeries is an international tournament by the International Sepaktakraw Federation (ISTAF) to bring the sport of Sepaktakraw to the international audience. The third season of the ISTAF Superseries begun on 30 October 2014 to 2 November in Nay Pyi Taw, Myanmar. There is a total of 4 SuperSeries tournament per season. It is an international Sepaktakraw tournament organised by the International Sepaktakraw Federation which debuted in 2011. The ISTAF SuperSeries is an international Sepak takraw event, where elite national teams to vie for ISTAF World ranking points over 4 SuperSeries tournaments. Building on the inaugural success of the ISTAF SuperSeries 2011/12, the International Sepaktakraw Federation (ISTAF) is looking to expand the global appeal of Sepaktakraw with this second season. The Philippines men's national sepak takraw team represents the Philippines in international sepak takraw matches and competitions and is organized by the Philippine Amateur Sepak Takraw Association. The men's team sepak takraw competition at the 1990 Asian Games in Beijing was held from 24 September to 28 September at the Fengtai Gymnasium. The 5th Thailand National Games also known held in Nakhon Sawan, Thailand during 2 to 9 December 1971 ,Representing were 13 sports. This games was the qualification Thai athletes of 1971 Southeast Asian Peninsular Games held in Kualalumpur, Malaysia. Haimie Anak Nyaring is a Bruneian footballer of Iban descent who plays professionally for DPMM FC of the Singapore Premier League as a goalkeeper. Viseyie Koso, is a Naga professional Sepak Takraw player. ↑ "Result of 26th King's Cup 2011 - Takraw USA". 26 September 2011. Archived from the original on 2011-09-26. ↑ "Result of 27th King's Cup 2012 - Takraw USA". 27 December 2012. Archived from the original on 2012-12-27. ↑ "Premium Domain Names at already Discounted Prices - sportshints.com is available for sale! Make an Offer Today". Sportshints.com. Retrieved 2018-08-22. Wikimedia Commons has media related to King's Cup Sepaktakraw World Championship .